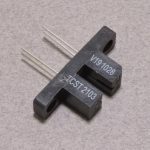 A CDS photocell is a resistor where the resistance changes based on the amount of light. 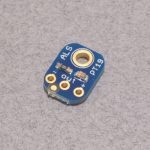 These make great basic light sensors as they are extremely easy to use. As the amount of light increases the resistance of the sensor decreases and vice versa. Resistance is roughly 5 – 10K Ohms in the light and up to 200K Ohms in the dark. 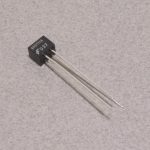 To use the photocell you will need a single 10K ohm resistor. The resistor is connected between your analog pin and ground while the photocell is connected between the analog pin and your power. 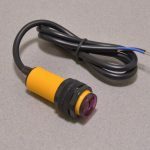 The photocell is symmetrical so there is no need to worry about hooking it up backwards! SKU: SEN-036. Category: Light / Infrared. Tags: Adafruit, Light, Light Packet, Sensor.